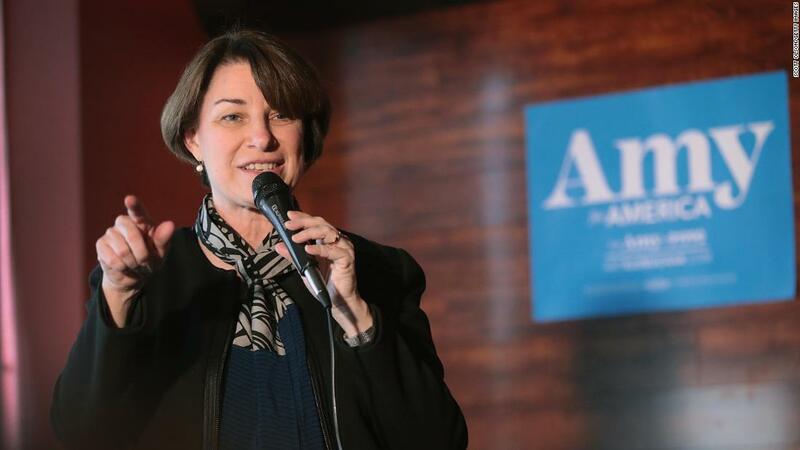 WASHINGTON (CNN) Sen. Amy Klobuchar raised more than $5.2 million in the first seven weeks of her presidential bid, the Minnesota Democrat’s campaign announced Monday. Klobuchar’s fundraising also lagged behind that of former Texas congressman Beto O’Rourke, who entered the race more than a month after the Minnesotan and collected $9.4 million in just 18 days. He benefited from an enormous donor base built during his 2018 Senate bid. His strength as a small-dollar fundraiser helped him collect a record-smashing $80 million on his way to losing Texas Sen. Ted Cruz. Klobuchar coasted to re-election in Minnesota last fall and ended her Senate campaign with more than $3 million in leftover funds. Those reserves helped her start April with $7 million remaining in the bank. Two other Democratic contenders have announced how much money they have remaining in their bank accounts: Sanders with $28 million and Booker with $6.1 million. The fundraising totals offer an early snapshot of the financial strength of candidates in the crowded field of Democrats vying to face President Donald Trump in the general election. Some of Klobuchar’s fundraising has included higher-dollar events where she raised money for both the primary and general elections. Money raised for the general election would not be available to her until she received her party’s nod. Her campaign’s news release did not break out how much money specifically was raised for the primary. “Since that snowy day we launched in February, the outpouring of support has been incredible,” Klobuchar said Monday on Twitter, referring to her outdoor campaign announcement in the middle of a Minnesota snowstorm. She said her campaign had received donations from every state. With at least 17 contenders already declared and others waiting in the wings, no Democratic candidate is posting record-breaking totals. Democrat Hillary Clinton, for instance, raised an eye-popping $47.5 million during her first quarter of the 2016 presidential race. Given the intense competition for the nomination in 2020, candidates’ ability to draw in new, small-dollar donors who can contribute repeatedly will be a key test of their staying power ahead of the Iowa caucuses, which are nearly 10 months away. Klobuchar’s aides said she attracted nearly 100,000 online donors with an average online donation of $40. In addition, 85% of all donors contributed less than $100, her campaign said. Klobuchar did not disclose how many people in total contributed to her campaign. In the news release, her campaign aides said Klobuchar’s bid would be “homegrown” and emphasized that she already has visited 10 states and met with “thousands of voters” in her fight for the nomination. LIVEreel is a cloud based software that let you go live using a pre-recorded video on multiple social networks at once.